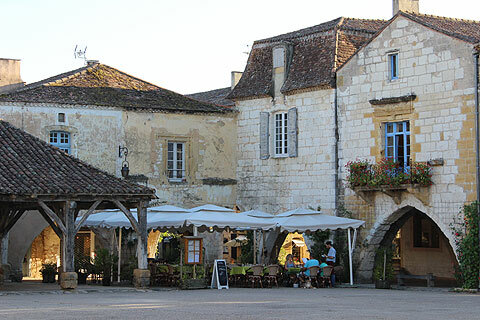 Monpazier is a simply stunning town, founded in 1284 by Edward 1 of England. 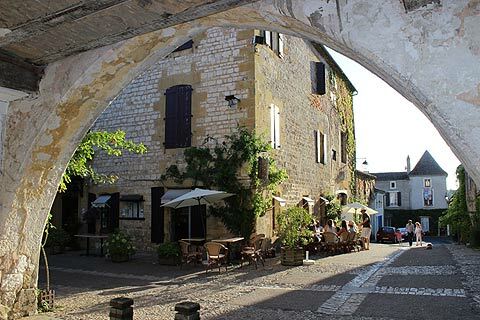 Its medieval centre is preserved almost completely intact, and it is quite possibly the best of all the bastide towns to visit and recapture life 600 years ago. The arcades around the edge of the square are still present, as is the market hall (complete with weighing and measuring apparatus!). Unmissable. 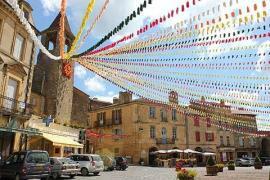 Monpazier is listed as 'one of the most beautiful villages in France'. 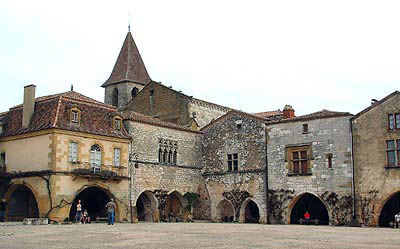 Monpaziere was once entirely surrounded by thick defensive walls with six large stone gateways through the walls. Of these you can still see two; one in the north of the town and one in the south. Like all bastides the village within the walls is laid out on a grid pattern with straight roads criss-crossing throughout the town. These bastides were built with a very forward-thinking social plan of equality and each house is built on an equal size parcel of land. 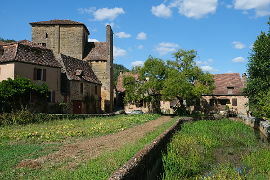 The houses all have different styles though which makes the resulting village very interesting but very harmonious too. Walking round Monpazier you can see three distinct types of architecture; medieval houses, classical style houses and bourgeoise houses. 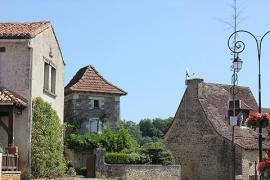 The diversity has allowed Monpazier to be classified as a ville-monument (town monument) rather just for each house to be classified monuments. 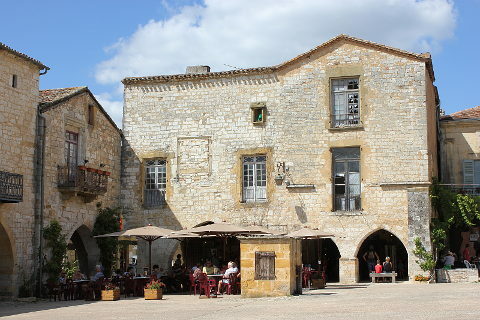 At the centre of Monpazier is its gorgeous main square. 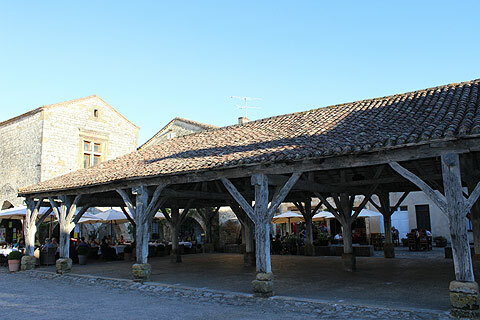 At one end is the wooden halle and surrounding the square are 23 beautiful stone houses, each built with its open arcaded base making commerce possible whatever the weather. Near to the main square is the church of Monpazier. 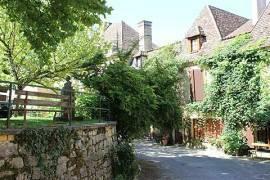 It was partly built in the 13th century when the bastide was founded and added to in the 15th century. 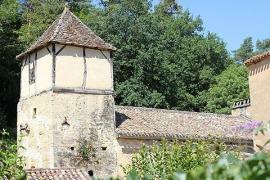 Near to the church is one of the most imposing houses in Monpazier, the Maison du Chapitre. This house was built over two building plots and served as a storage house for the grain the peasants had to pay in taxes - the 'dime'. 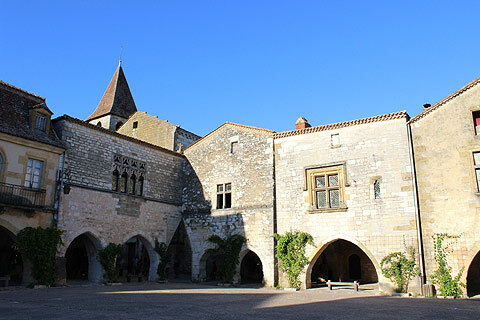 Another interesting building is the convent des Recollets began in 1644 and is now used as an exhibition place for exhibitions about the history of Monpazier. 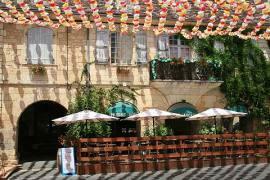 As well as being a beautiful village Monpazier has a few excellent restaurants and has become an excellent choice if you wish to dine out - particularly in the evening when you can sit outside and enjoy the stunning architecture. It also has some lovely boutiques. 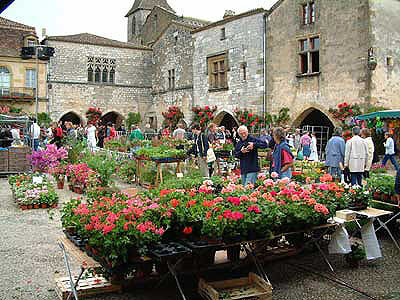 Two particular highlights in the Monpazier calendar are the 'flower festival', held each spring, and the medieval day in the summer - when the town and its residents are dressed in their medieval finery and lots of activities related to medieval times take place. 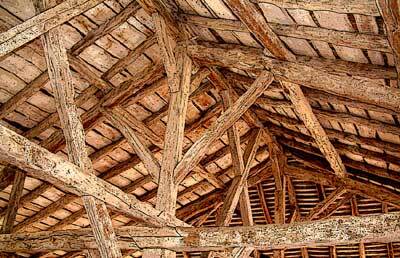 One interesting story about Monpazier relates that during the Hundred Years War the Monpazier population set off to plunder the nearby town of Villefranche-du-Perigord. Finding the town quiet they plundered the town and returned to Monpazier. Unfortunately, the reason Villefranche was quiet was that the villagers had chosen that very same night to plunder Monpazier. When the sorry facts emerged, the residents of both Monpazier and Villefranche returned the things that they had taken from each other. These are restaurants where we have eaten and found well worth visiting. 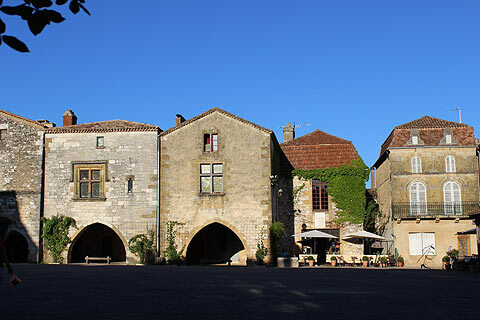 Found in the southern part of the Dordogne department, Monpazier is approximately 16 kilometres east from another lovely bastide town - Villereal. 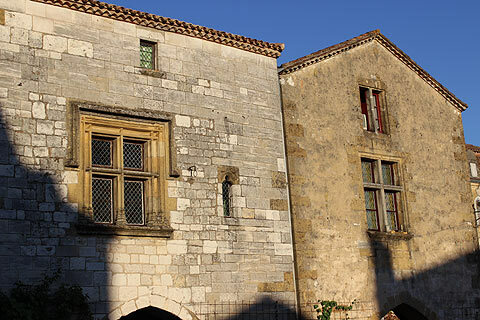 Having spent a few hours soaking up the glorious medieval architecture of Monpazier you, or your children, may want to do something a little more energetic. 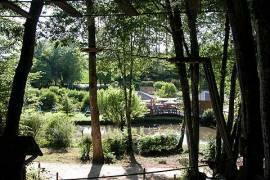 How about the tree adventure park, Parc-en-Ciel, at Lacapelle Biron. 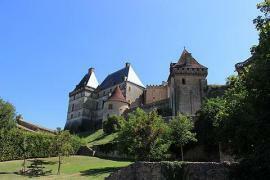 Alternatively the Chateau de Biron is a very impressive chateau to visit nearby. 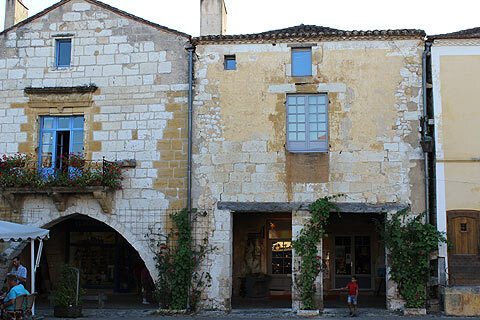 Belves is a great medieval town and even has troglodyte dwellings underneath its main square.